If you are working on Azure, the most of tasks are done using the Azure portal. The same tasks can also be managed using PowerShell. 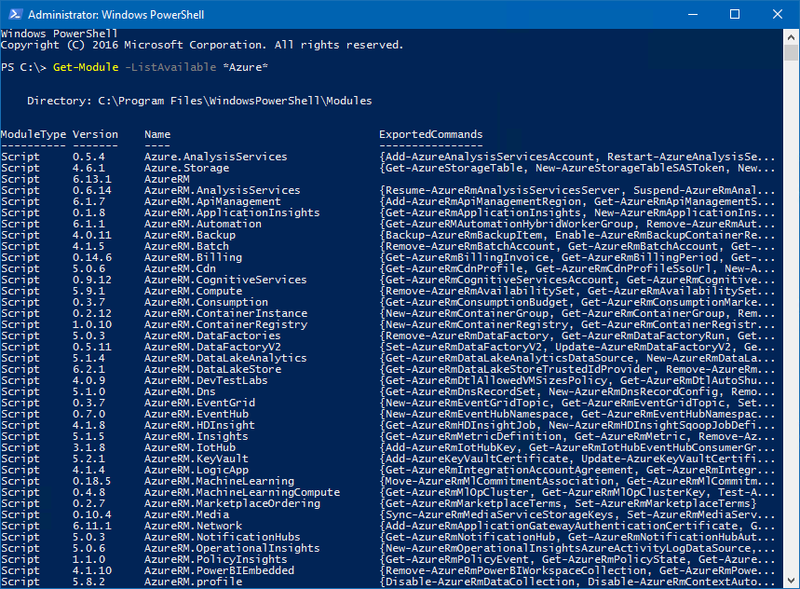 When you install the Azure PowerShell module, it adds cmdlets with which you can manage Azure using PowerShell. Azure services can be managed and accessed primarily via PowerShell or the Azure Portal. The PowerShell automation is supported through the Azure Portal. I will install Azure PowerShell from PowerShell Gallery. Ensure that your computer is installed with the Windows Management Framework 5. Just wait for few minutes while the modules are downloaded and installed. The Login-AzureRMAccount command is used to login to your Azure resource manager. When you enter this command, it brings up a page to enter your account and password. Type the email address and password associated with your account. Note: you should have an Azure subscription with the account that you have entered. You can now see your Account info, Subscription ID, Tenant ID and other details. You can view these details when you login to your Azure management portal as well. Using PowerShell, you can see how easy it is to get the information in a short time.